It is the first day of October, which means I can truly accept that it is autumn, ushering in spicy flavors, Halloween candy sugar-highs, and hearty soups. The grocery store is filled with Candy Corn (and Candy Corn Oreos), gourds, bags of Milky Ways to fill the entire milky way, and cans of the orange purée commonly known as pumpkin. 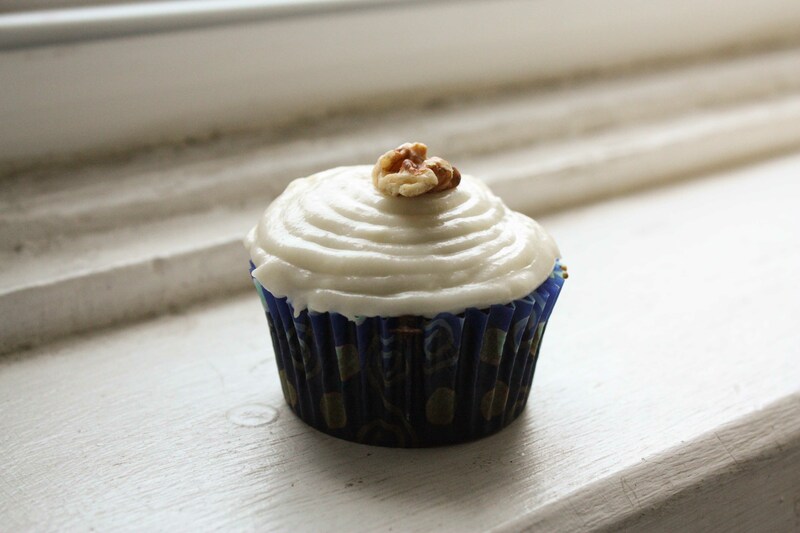 I snagged a few cans of pumpkin–fearful that another pumpkin shortage would occur this year–and I set out to make Pumpkin Cupcakes with Cream Cheese Frosting. Because of the pumpkin, the cake is moist. 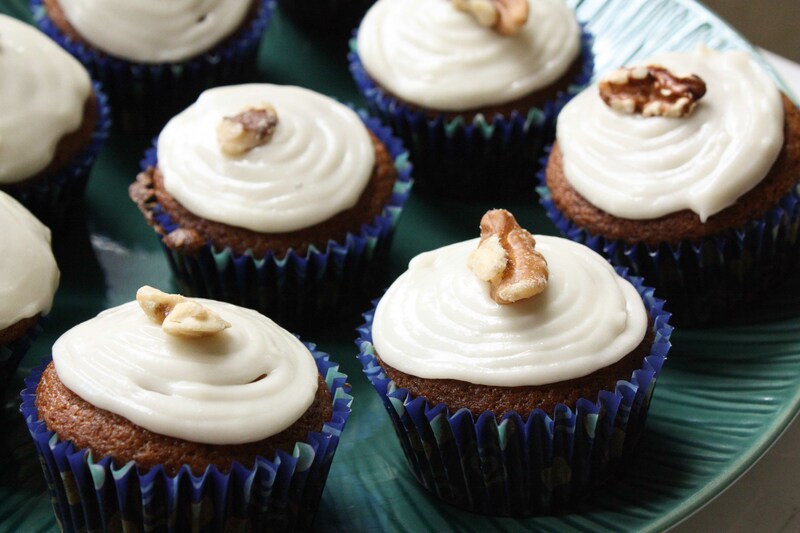 The nutmeg, cinnamon, and cloves are, as usual, the perfect accompaniment to the pumpkin. Be advised that the smells wafting from your oven will attract many. The sweet, and slightly tangy, cream cheese frosting makes this dessert complete. In medium-sized bowl, mix flour, baking soda, spices, and salt. In a separate bowl, mix sugar and eggs. Add oil and mix well. Add flour mixture to wet mixture, then add pumpkin. Mix until well blended. Pour into lined cupcake tin and bake for 30 minutes. While baking, prepare frosting by mixing the ingredients by hand. Whip until fluffy. 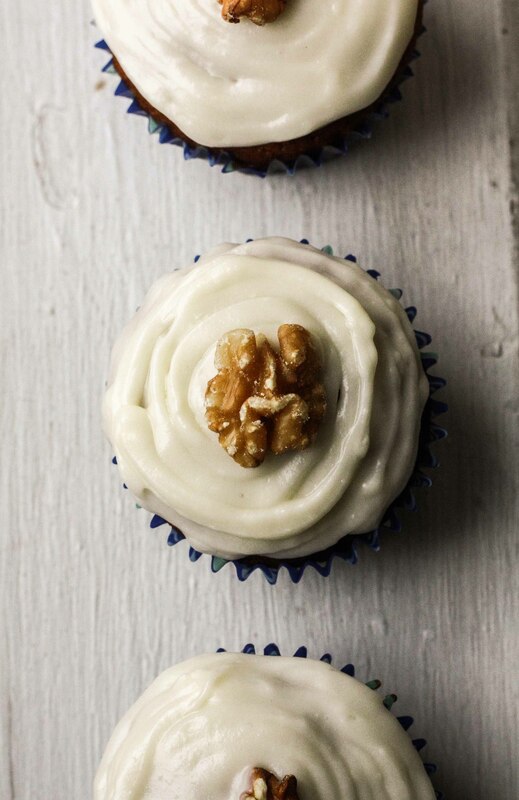 Top cooled cupcakes with frosting and garnish with a walnut. I should make these. For the family. They sound like just my kind of thing. But I probably won’t.